omparisons from the Melvins to Modest Mouse, this is the Unit Breeds umteenth record with yet another completely different line up, the differance is that this one is good- really good actually. Joe's mishmash of influences and direction hold together enough for one spaced out wacky ride. full color booklet featuring original artwork. ost Eyes is a double disc CD / DVD extravaganza. 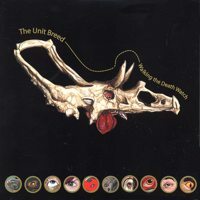 This is the 5th album by The Unit Breed, and it showcases the bizarre brilliance of the band. This is 55 minutes of unsettling, dark music. The DVD contains a movie version of the CD. This is the work of unacknowledged genius, and and has moments reminiscent of Sonic Youth or Fugazi, but remains unique and uncategorizable. 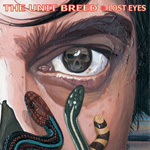 The Unit Breed will be on tour in July and August of 2007. Check their web site for dates.